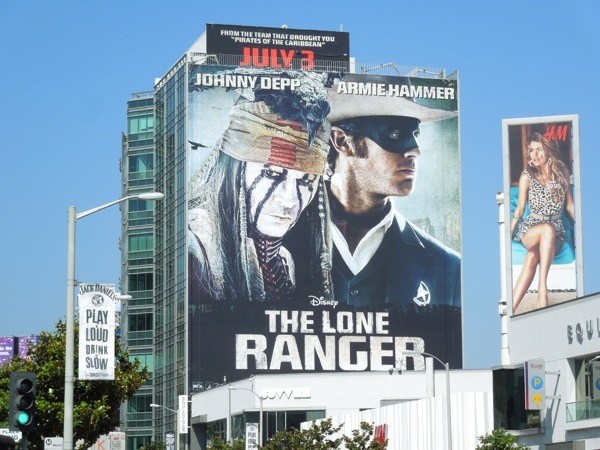 Johnny Depp, Director Gore Verbinski and Producer Jerry Bruckheimer reunite for another Pirates of the Caribbean, no wait, for Disney's remake of The Lone Ranger. 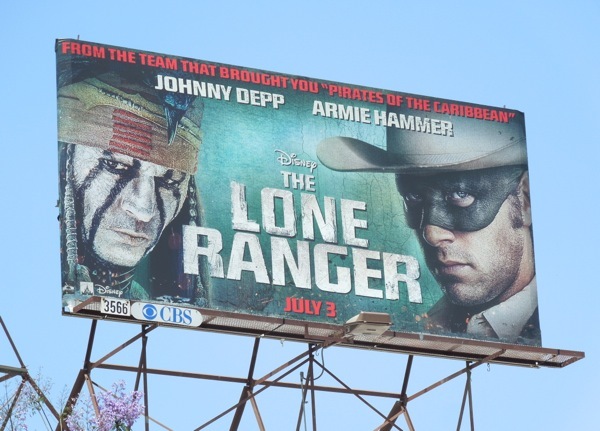 So expect lots of explosions and cross your fingers that Armie Hammer can deliver as leading man next to such a high-profile partner in crime. 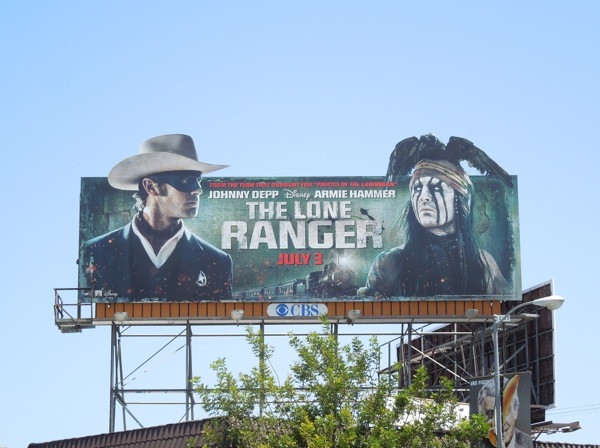 That's Daily Billboard's biggest issue with this retelling of the iconic masked ex-Texas Ranger in America's Wild West, his trusty Native American sidekick 'Tonto' (played by Depp) seems to steal the show and even the focus of the marketing materials. 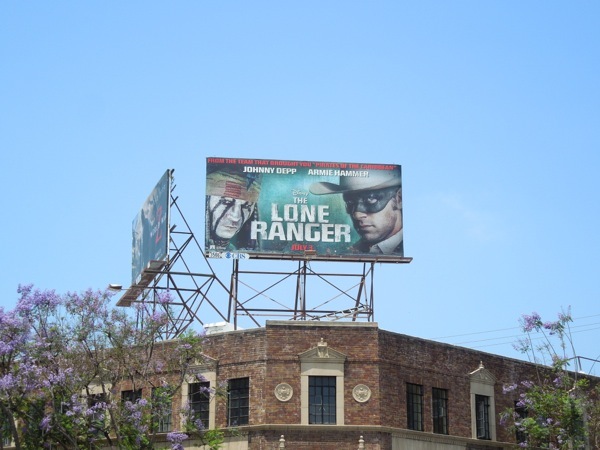 What Daily Billboard does like though, is the green background colour choice which makes for a refreshing change on the film's ad creatives. 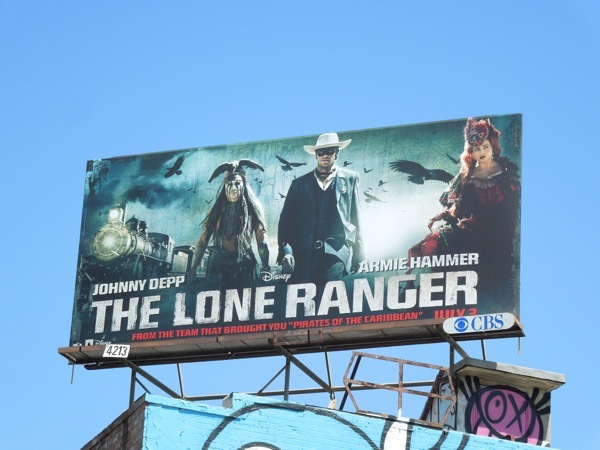 With the Summer already crammed with superheroes, starships and giant robots, maybe the The Lone Ranger's pursuit of justice in the Old West will stand out with its steam trains, saloons and horseback chases. 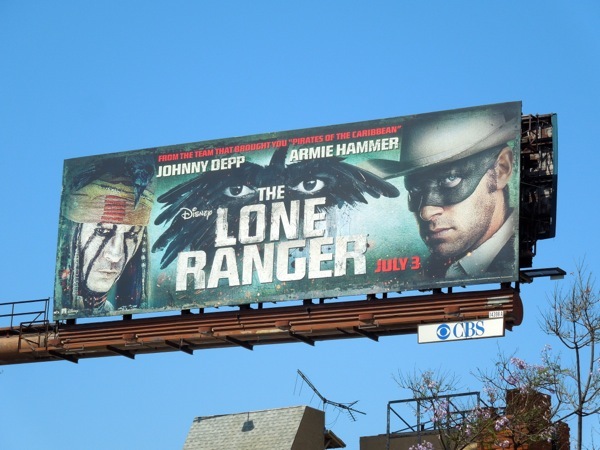 Be sure to get a glimpse behind-the-scenes and check out these original Western costumes from The Lone Ranger on display, worn by Johnny Depp, Armie Hammer and Helena Bonham Carter in the Disney movie. 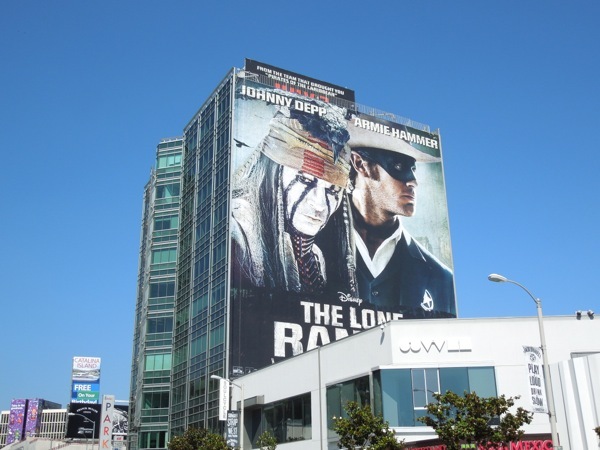 The film's giant-sized billboard was spied on the side of the Hotel Figueroa in Downtown L.A. on May 6, whilst the standard landscape and two smaller creatives we're snapped along Santa Monica Boulevard and Melrose Avenue on June 14, 2013. 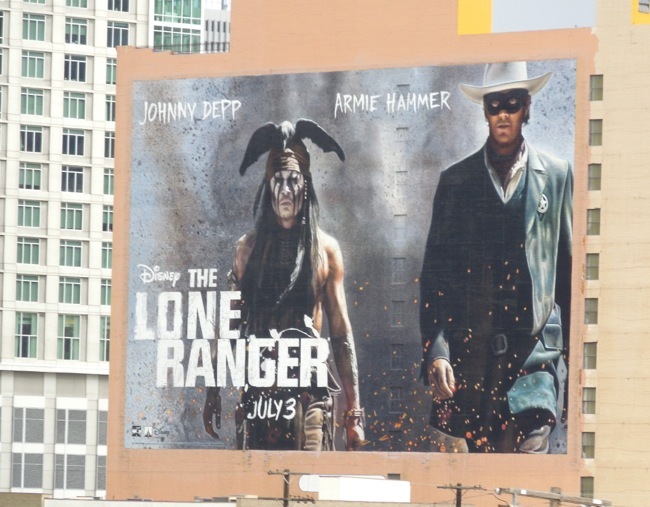 Meanwhile the special extension versions were spotted along La Cienega Boulevard and Beverly Boulevard on June 17, 2013. 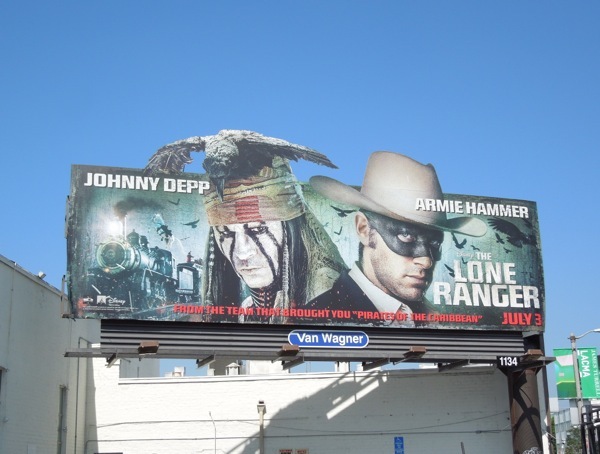 If you're a fan of the actor, be sure to check out all these Johnny Depp movie billboards, from Pirates of the Caribbean to Dark Shadows, Public Enemies to Alice in Wonderland, and even The Tourist. 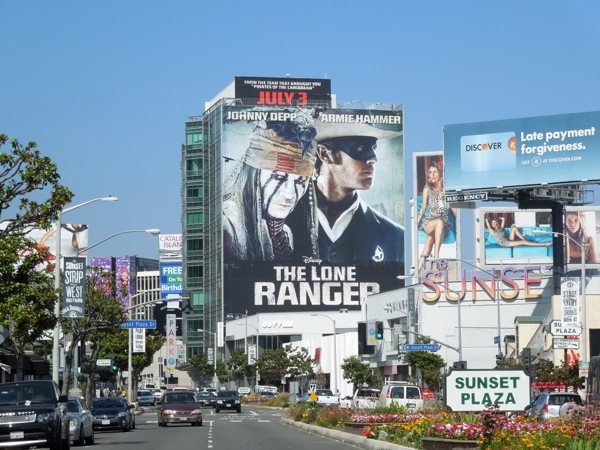 UPDATED: Now that Monsters University has opened at cinemas, The Lone Ranger has jumped at the opportunity to steal the coveted giant-sized ad site along L.A.'s busy Sunset Plaza. 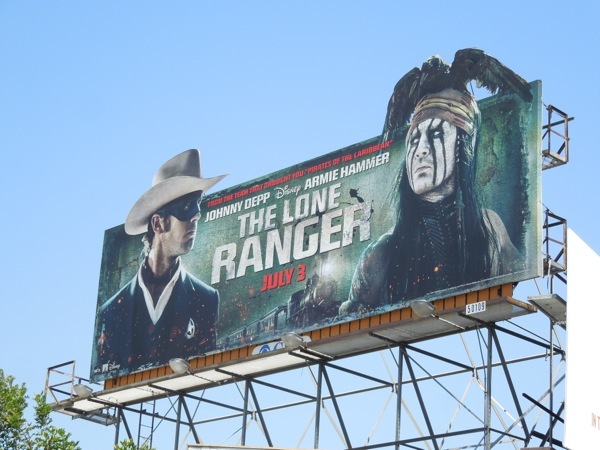 Johnny Depp's Tonto once again takes the spotlight on this creative, which can't really be helped with his arresting war-painted face. 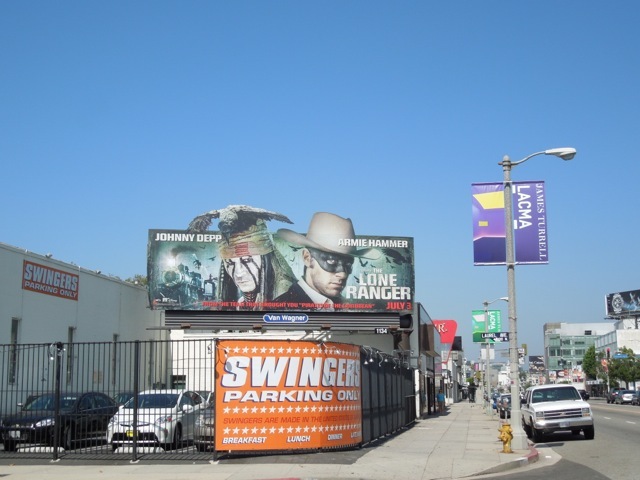 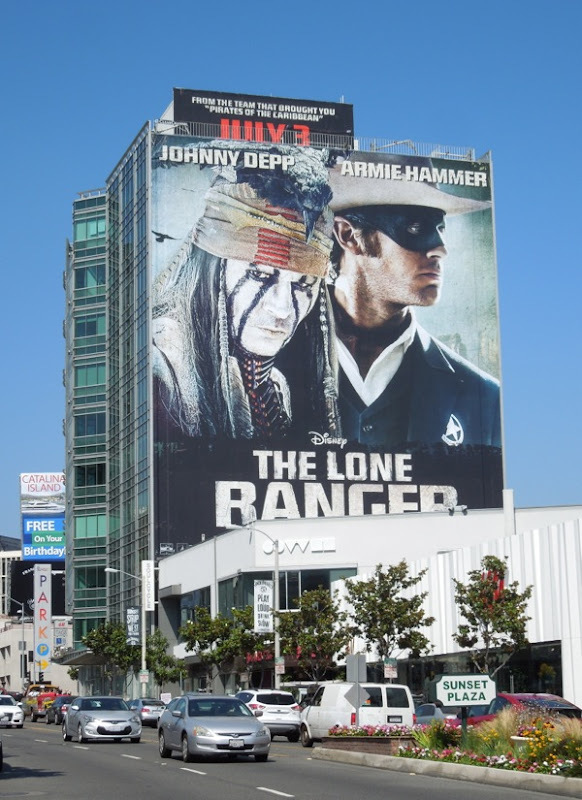 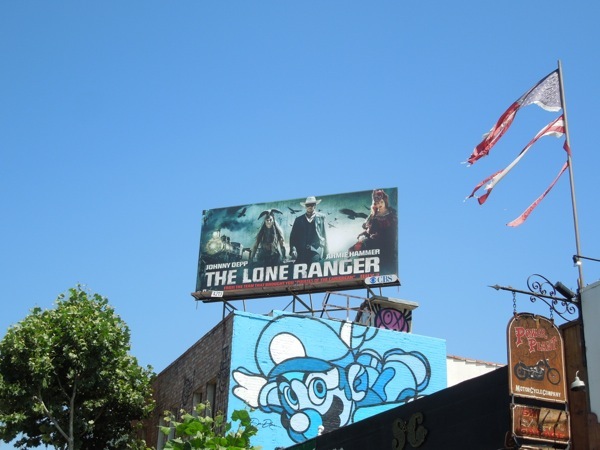 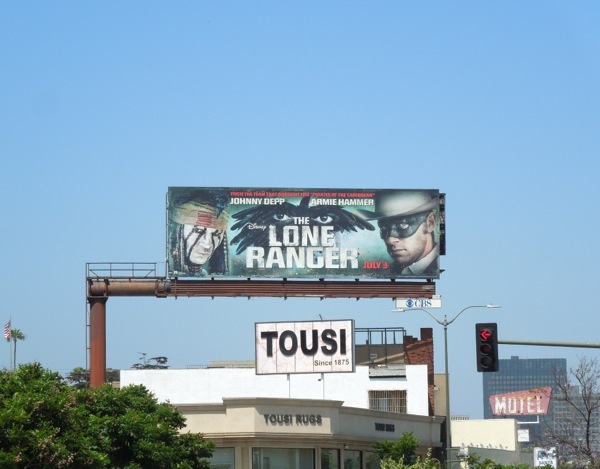 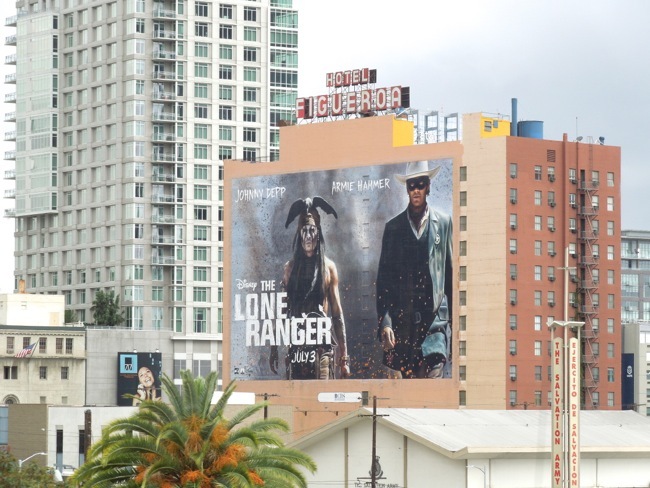 This super-sized Lone Ranger ad was spied along the Sunset Strip on June 25, 2013, with just over a week to go before the movie opens over the 4th July holiday period.